According to the Linkedin Updates, Apple Inc. has hired at least six senior staffs for the few past months from Here, a mapping software maker that used to be Nokia’s division. 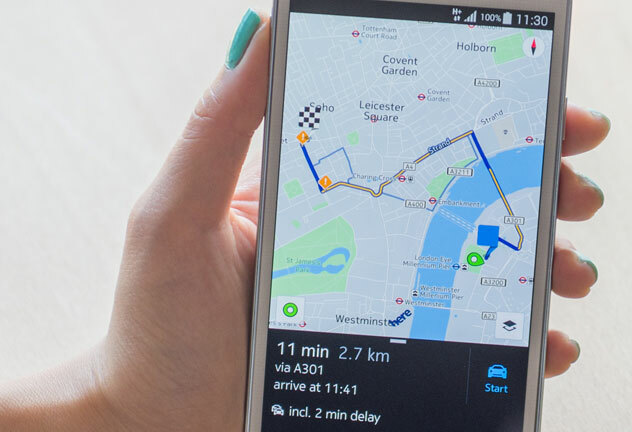 Nokia once hoped to sell the map technology company to Apple in 2015. Now it is co-owned by German automotive companies Audi, BMW, and DaimlerInterestingly, Those engineers and managers’ working places are all located in Berlin, Combined with the previous rumors, this sign suggests that Apple is likely to build a research and development center in German focusing on mapping technologies. The recruits from Here include a director, two product managers, two senior software engineers, and the regional map and content lead for eastern Europe, Business Insider reported on Wednesday. Here are the some information about involved staffs. Five of those staffs refuse to make a comment, and the sixth – senior software engineer Konstantin Sinitsyn – replied that he couldn’t reveal what he’s working on. Earlier this April, Apple was reported to build a secret lab in Berlin for its electric car project, while recent rumors implied that the company has given up the plan of creating Apple Car and chose to focus on developing an autonomous driving platform.